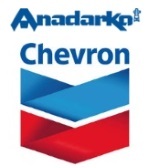 édité le 13/04/2019 - Plus de news de "Anadarko" - Voir la fiche entreprise de "Anadarko"
Anadarko Petroleum Corporation’s mission is to deliver a competitive and sustainable rate of return to shareholders by exploring for, acquiring and developing oil and natural gas resources vital to the world’s health and welfare. As of year-end 2018, Anadarko (NYSE: APC) had 1.47 billion barrels-equivalent of proved reserves, making it one of the world’s largest independent exploration and production companies. Voir la fiche entreprise de "Anadarko"
Les dernières news de "Anadarko"